Broad Reach Communications is a full service public relations and communication agency in Toronto, Ontario. Broad Reach tailors their services to each client’s business objectives, delivering exceptional results. Established in 2008, Andrea Lekushoff is the President of Broad Reach Communications. 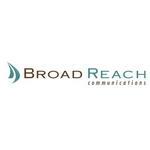 Products Carried: Broad Reach Communications offers comprehensive PR and communications services. Located in Toronto, Ontario, the public relations and communication agency specializes in the corporate, financial services, professional services, nonprofit, consumer products, and technology sectors. A Toronto-based, full service firm offering PR, their services include: writing, social media, event management, and other communications services.